As the deadly Northern California wildfire exploded over the weekend, celebrity chefs Guy Fieri and José Andrés did what they do best: feed the community. The two restaurateurs rallied a group of volunteer chefs and nonprofit food relief organizations to provide meals for people displaced by the the Carr Fire in Redding and the firefighters battling the massive blaze. Andrés' organization, The World Central Kitchen, re-activated #ChefsForCalifornia, which responded to the Thomas Fire in 2017, and partnered with Food First Responders, Operation BBQ Relief and Fieri to set up a central kitchen that will deliver 5,000 hot meals a day to evacuation centers and first responders. 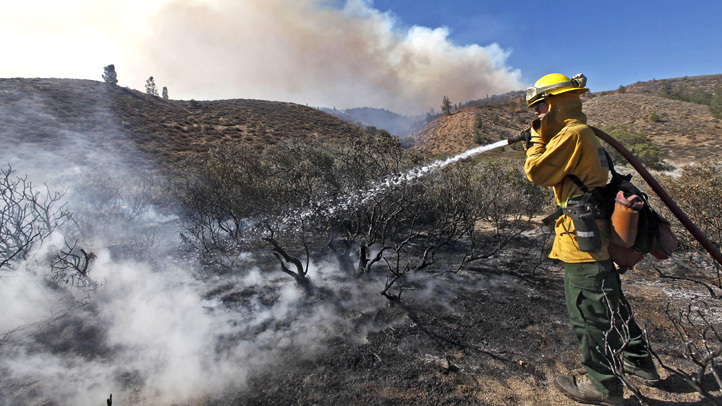 The WC Kitchen is coordinating its effort with the California Office of Emergency Response, the Red Cross and the Salvation Army, according to Andrés. On Sunday, the two Food Network stars helped the Red Cross serve meals to hundreds of people in Redding. Fieri worked with the crew from Operation BBQ Relief, which sends smokers and pit crews to feed people displaced by natural disasters. The non-profit was founded in 2011 in the aftermath of a deadly tornado that ripped through Joplin, Missouri, according to its website. 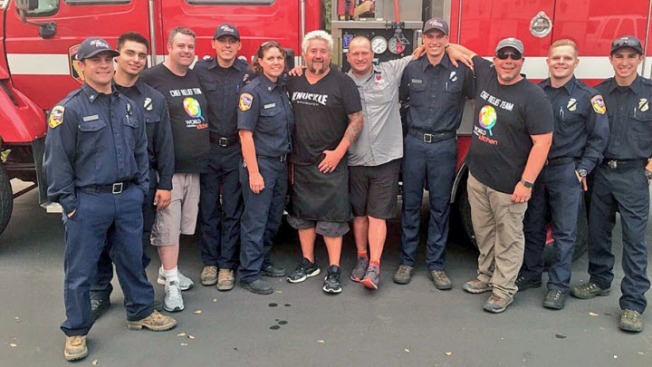 Fieri and Operation BBQ Relief also responded to Santa Rosa in October to help feed victims and first responders of the deadly Sonoma County fires. The "Diners, Drive-ins and Dives" host lives in Santa Rosa. 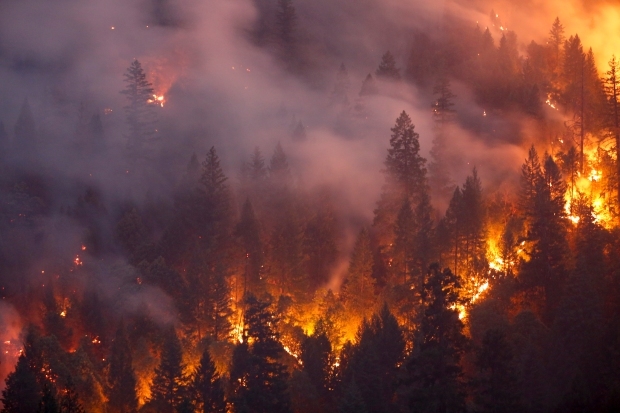 The fire burning in Shasta County has scorched nearly 100,000 acres, destroyed more than 700 homes and forced nearly 40,000 people to flee. Six people, including two firefighters, have died in the fire.